This card is for that friend with an upcoming theater performance . Wish them well with vines and pearls. Happy “Mumday” to everyone. I know Mondays can be a little rough, so I thought I would brighten your morning. Have a great day! 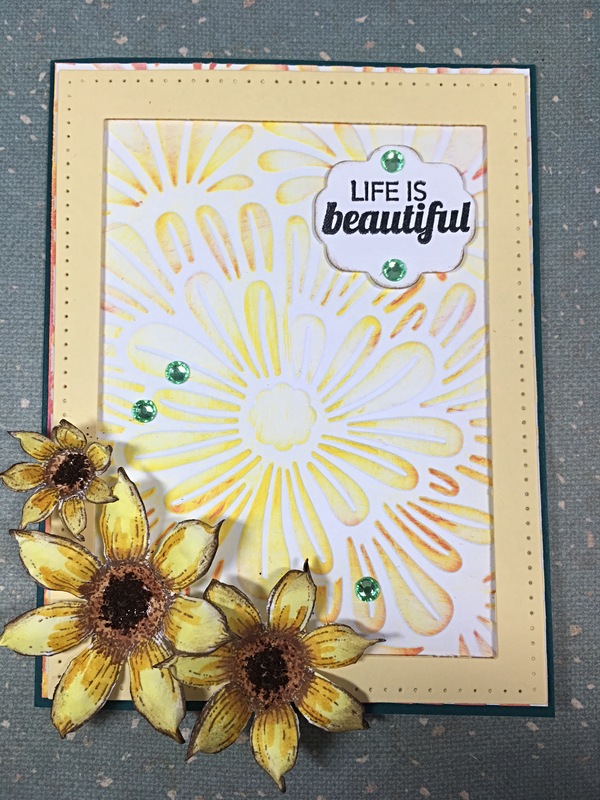 I love making these beautiful box cards. They fold flat to mail and make such a great gift. 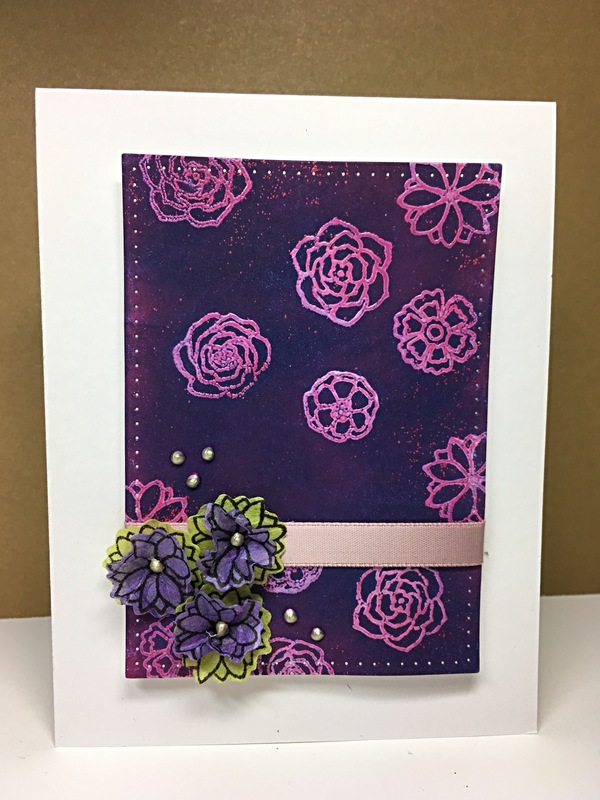 Emboss resist a floral pattern with purple ink. This card uses the same see through technique but with bling! 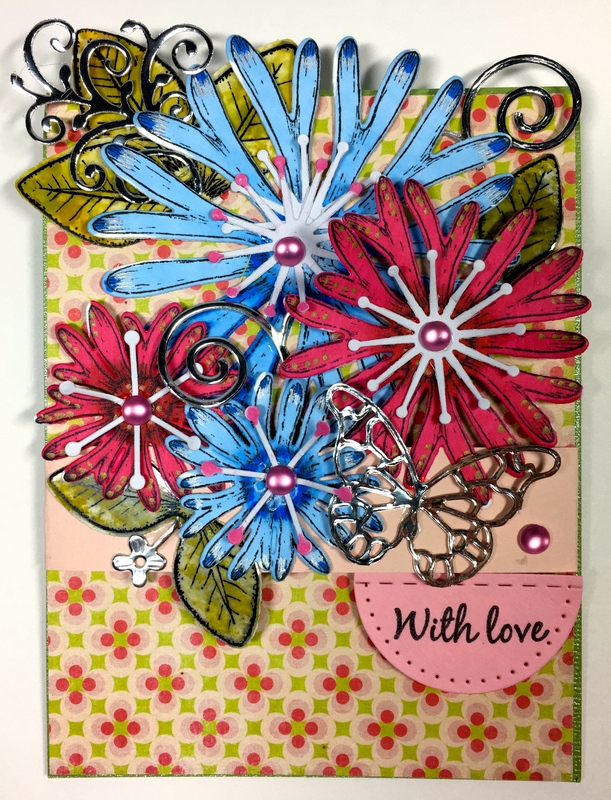 I used 2 different die cuts and different colored papers on this card. 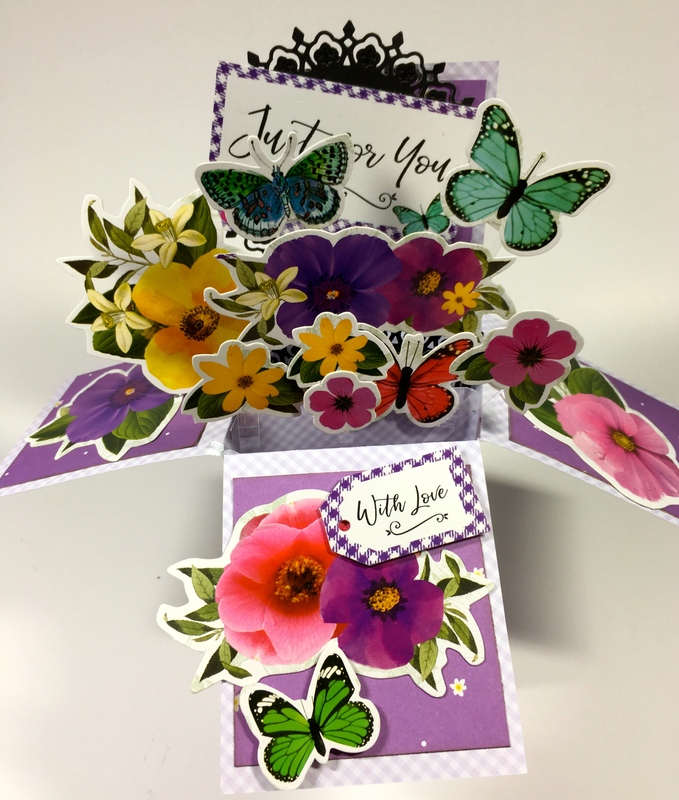 I accented the card with vines, leaves and a rose. 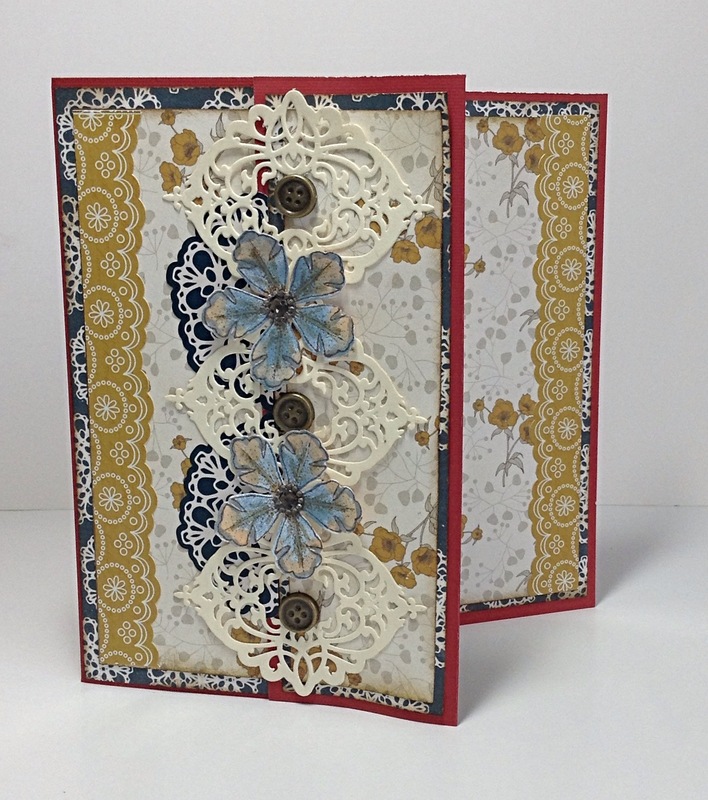 This elegant card was actually a prototype for my niece’s wedding. The Couture die is so beautiful, you can never go wrong. I will post her wedding card when the day gets closer. I don’t want to ruin the surprise! It seems fairy gardens are all the rage. 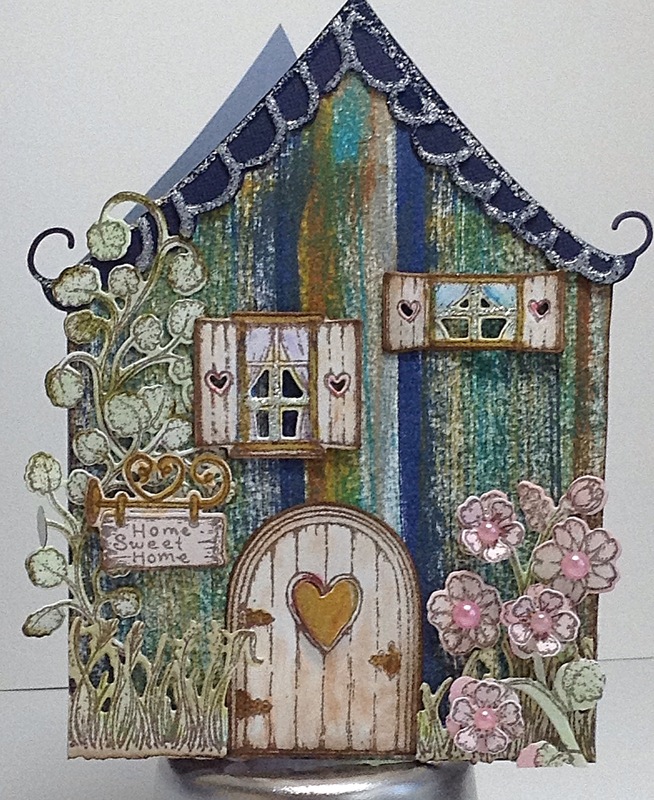 A sweet little card to go along with a fairy garden gift. For the house, I used different colors of distress inks to create my faux wood look.